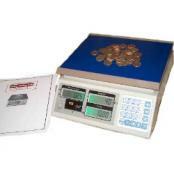 Coin Counting Scales allow you to easily count quarters, dimes, nickels, game tokens etc.... It doesn't matter if you own a coin laundry or a video game center, you need a fast and efficient way to count your change at the end of each business day. After all, who wants to count all those quarters out by hand? One of our digital coin counting scales will save you a lot of time and probably increase the accuracy of your counts as well. 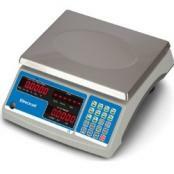 Several years ago we at Central Carolina Scale used to sell a ton of the old Digi DMC-688 coin counting machines to customers just like you. 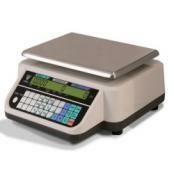 Those scales were very popular and were the inspiration behind Digi Matex latest machine the DMC-782. Call or email us for a review of the scales we offer and we can provide you with recommendations for what we believe would work best for your situation. The instructions are pretty easy with these scales, you just press the appropriate coin button on the keypad and then place your coins on the tray. If you have a custom token you can program that in the scale as well. Pick up one of these and make your life a lot easier. Contact us today at (919) 776-7737 or complete our request a quote form.